A man suspected of being a part of a theft ring has been let out on bond four times over the past month. Six men and women were arrested following a raid at a foreclosed Prince George's County mansion last week. Officers later arrested 19-year-old Timothy Isaac Foxx on 10 charges, and believe he led those six individuals in a theft ring. Police believe he most recently stole a Rolls-Royce golf cart, found at the multi-million dollar Tantallon home. He was released on bond -- his fourth in just a month. On Jan. 3, he was arrested on six charges including theft of a stolen vehicle in Prince George's County. He posted bond and was released. 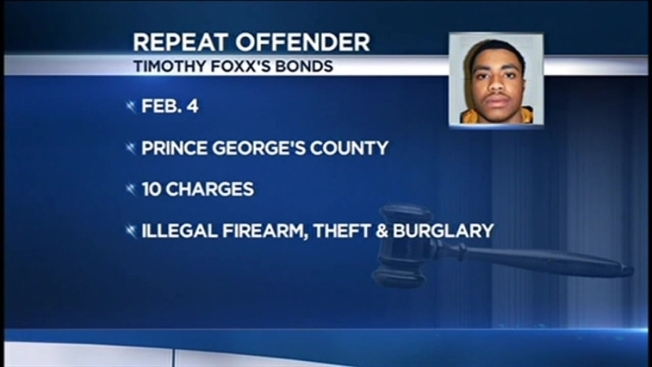 He was charged with seven counts of theft and burglary also in Prince George's County, less than three weeks later on Jan. 21. Yet again, he posted bond and was released. Just a week later, he was arrested on 16 theft and burglary charges in Anne Arundel County. Again, he posted bond and was released. "This happens a lot," former Prince George's County State's Attorney Glenn Ivey said. "The way the law is written, the commissioner makes a decision based on whether there's a risk of flight, in other words that he won't show up for court or there's a danger to the community." Ivey admits the process can be frustrating for the community, as well as police. Foxx is due in court at the end of the month.